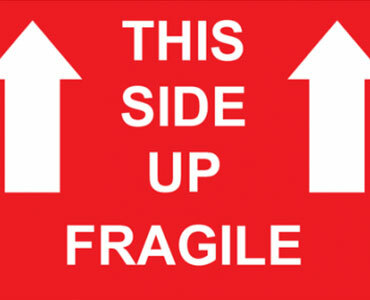 Black Felt Marker-Markers are used for marking your packed boxes with information such as the contents of the box, “FRAGILE”, “THIS SIDE UP”, and your name. We recommend that you write all of this or the room name on the tape. Boxes-We carry 2 cubes, 4 cubes, 5 cubes, picture-mirror cartons, wardrobe boxes(2 1/2ft sq), china boxes, and much more. Sealing Tape-The best tape for this purpose is plastic tape. Your rolls of tape should be at least 1 1/2 to 2 inches wide. You can purchase tape from us. Wrapping Paper-You are going to need plenty of wrapping paper. Many people save and use their old newspapers without realizing that the ink on newsprint never thoroughly dries. Consequently, the goods you wrap in newspaper are likely going to be stained and will require cleaning before you put them away. For items you prefer to keep clean it would be best to purchase bleached packaging paper. We sell unprinted newsprint at our Supplies and Rental Store in Hamilton.